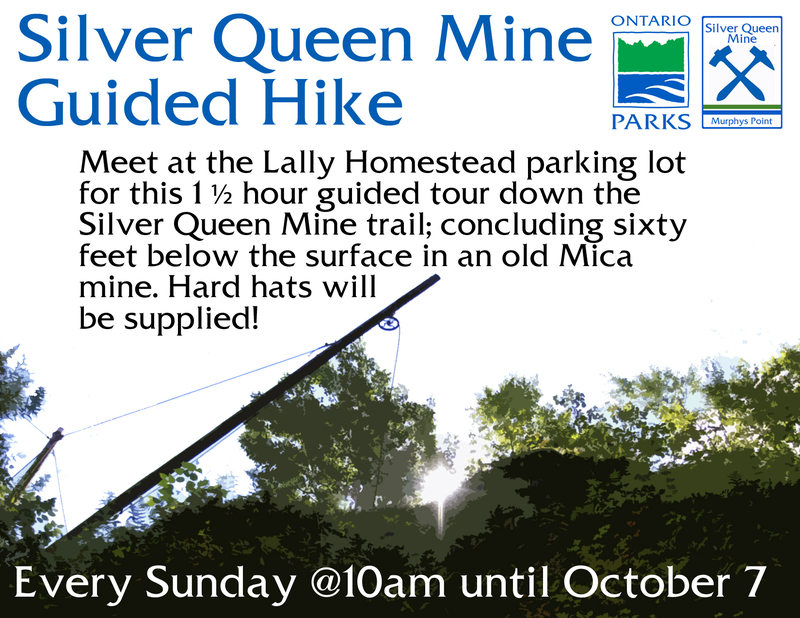 Silver Queen Mine Open House on Sunday! Join Us for a Heritage Whisky Tasting! Long Weekend Activities at Murphys Point! Welcome! Click the owl for the current Natural Heritage Education program schedule. Volunteer Opportunities are Fun and Rewarding! Join us on May 5 for AGM! Tackaberry Sand & Stone Ltd.
Past Recovery Archaeological Services. Inc.
Like “Friends of Murphys Point Park” on Facebook! Follow the Friends on Twitter! Like “Ontario Parks – Murphys Point” on Facebook! Follow Murphys Point on Twitter! All header photos by Simon Lunn. Thank you, Simon! Other park photos by various Friends, or as credited.